Women's rights issues are nothing new and are as prevalent today as they were 100 years ago. Back then, however, one brave group of British women decided they'd had enough, fighting for and eventually winning women's rights to vote. These are the most famous females behind UK's suffrage movement. The leader of the suffragettes in Britain, Pankhurst is widely regarded as one of the most important figures in modern British history. She founded the Women's Social and Political Union (WSPU), a group known for employing militant tactics in their struggle for equality. 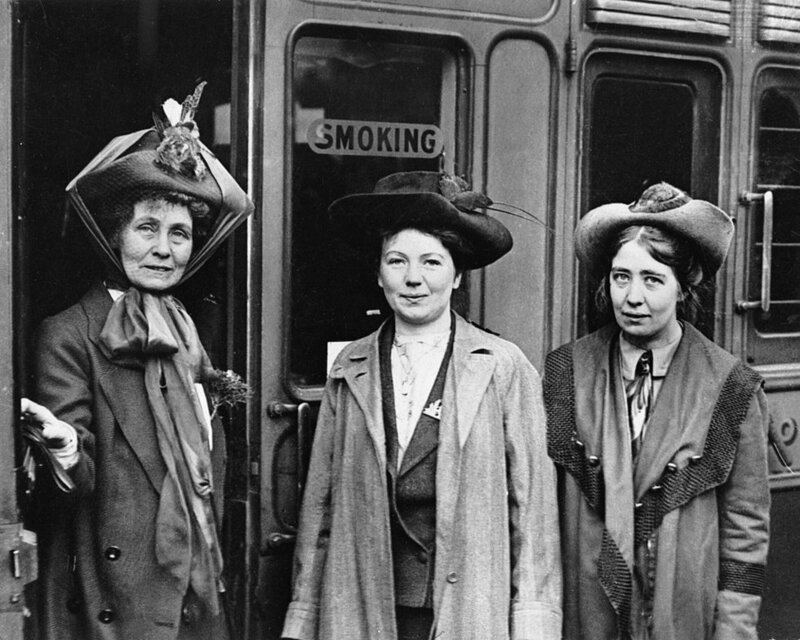 Pankhurst was regularly arrested and imprisoned during the suffrage movement and was joined by daughters Christabel and Sylvia in her pursuit of the female vote. Daughter of Emmeline, Christabel was nicknamed "The Queen of the Mob". 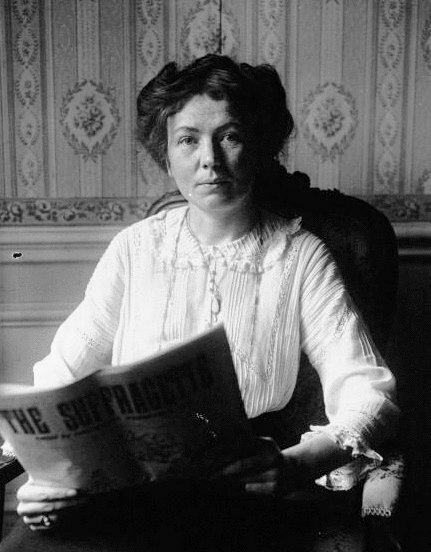 She directed the WSPU's most aggressive activities and also edited the movement's newspaper The Suffragette. Lady Constance Lytton was the daughter of Viceroy Robert Bulwer-Lytton but refused to use her privileged background as a means for special treatment when she was arrested. In fact, she often disguised herself as Jane Warton, an 'ugly London seamstress', to avoid any benefits her family connections might bring. Renowned for giving her life for the suffrage movement, Emily Wilding Davison was fatally wounded when she stepped in front of the King's horse at the 1913 Epsom Derby. 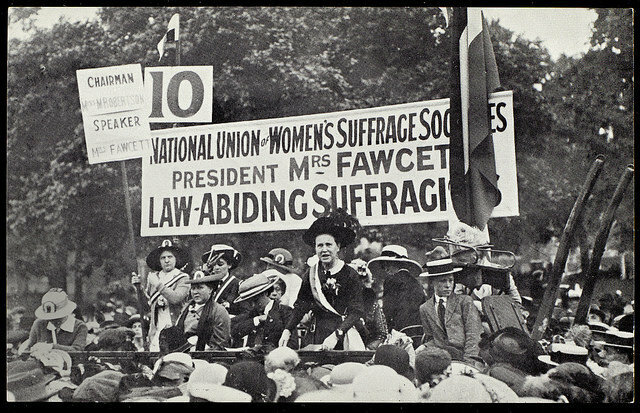 A moderate suffragist rather than a militant suffragette, Millicent Fawcett concentrated much of her efforts on improving women's education. Nonetheless, she was instrumental in winning the women's vote, an accolade that has made her the first woman to have a statue in London's Parliament Square. 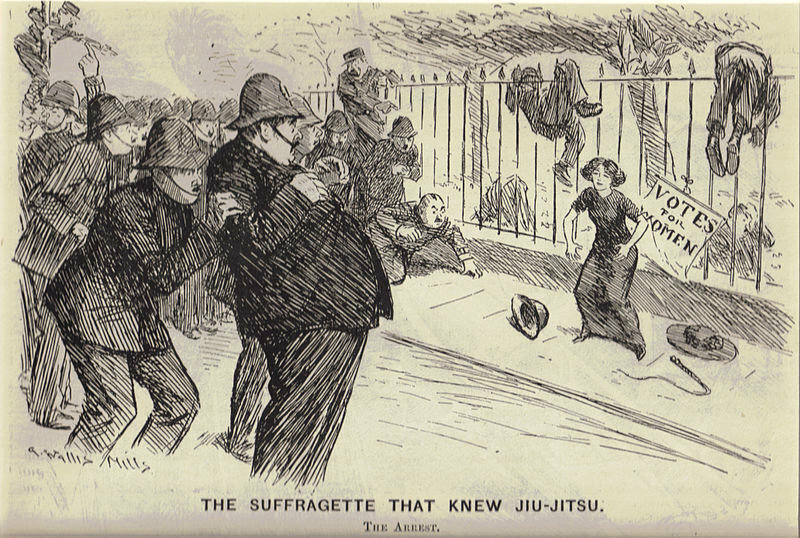 The ' Jiu-jitsu Suffragette' Edith Garrud was one of the world's first professional female martial arts instructors. She trained the WSPU's bodyguards in self-defence. Another of Emmeline's daughters, Sylvia took a different stance to her mother's and sister's. With links to the labour and socialist movements, she focused on local campaigning and was even expelled from the WSPU by Christabel in 1913. Although composer Ethel Smyth gave up music for 2 years to support the women's suffrage movement, she still found the time to write their anthem "The March of the Women" . While imprisoned, she famously conducted the suffragettes in song using a toothbrush. Emmeline Pankhurst's personal bodyguard, Leonora Cohen gained the moniker "Tower Suffragette" when she smashed the display case for the Crown Jewels in the Tower of London. Cohen lived until she was 105 and contributed to the second wave of feminism in the 1970s. Countess Constance Markievicz was an Irish nationalist who followed her sister Eva Gore-Booth into the suffrage movement. She played a prominent role in ensuring Winston Churchill was defeated in a Manchester by-election in 1908 and went on to be a leading figure in the Irish rebellion of 1916. Markievicz blazed a trail for women in politics. She was the first ever woman elected to the British House of Commons (although she refused to take her seat) and the second woman in the world to hold a cabinet position as Minister for Labour in the Irish government. Did the Women in Your Family Change History?